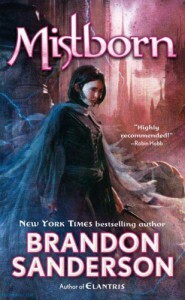 Mistborn: The Final Empire - Brandon Sanderson - review - But Who'll Sarah Fee? Now, the book as a whole wasn't really that good in my opinion. I mean, it wasn't very memorable. Just something to read in between real books. 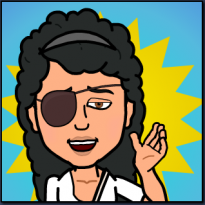 I think the writing style made it seem that way; unmemorable. I changed my mind when I finished it. The beginning was good, it went on alright, but then something went HORRIBLY wrong in the middle, maybe towards the end. Although I don't think I've seen/heard/read about the same lame mini-plot before, it seemed like I did. Lots of times. It was pretty hard to get through, and I couldn't stop asking myself WHY, WHY, WHY? I felt like my little sister was the one who was supposed to be reading it. But THEN! The ending! The ending made it ALL worthwhile. I want you to read it, try to get through the sappy part, and you will hopefully be greatly rewarded. I'm recommending this left and right, people. Come to me for a book and I will buy you five copies of Mistborn. This book is amazing.